The Moto X4 is set to be the next midrange smartphone worthy of your attention, and thankfully, it might also be appropriately middle-of-the-road in cost. As 9To5Google discovered from a leak on Twitter, the X4 will launch for around $400 (€350, approximately £305, AU$500). While there are certainly some well-specced flagships just north of this price, like the OnePlus 5, the Moto X4 looks like a decent value, especially if you’re on Google’s Project Fi wireless carrier in the US. Of course, there’s more to it than that. According to recent leaks, the Moto X4 will feature a dual-lens camera, much like what we’ve seen on the new Moto Z2 Force. Sadly for spec fans, it is said to use the new Snapdragon 660 system on a chip with 4GB of RAM coming along in tow, a midrange combo that facilitates a lower price. 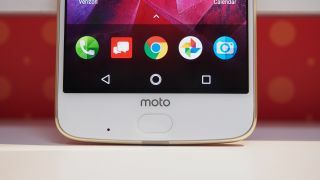 Moto has had a busy year, releasing a handful of options in the low-end, like the Moto E4 and Moto G5, as well as the Moto Z2 Force on the high-end with its Moto Mod capability. The Moto Z2 Play and Moto G5 Plus have blurred the line between budget and midrange phone, though with its rumored glistening design and respectable specs inside, the Moto X4 will likely be the company’s definitive flag in the ground against the midrange competition. As mentioned earlier, the Moto X4 is said to be the first non-Google branded smartphone coming to its US-only Project Fi service, the wireless carrier from the search company. This will be a big deal for those on the service mostly because they haven’t been spoiled with choices, as the service currently works with just the Nexus 6, Nexus 5X, Nexus 6P, Google Pixel, Google Pixel XL and likely, the Google Pixel 2. This also means that Fi customers haven’t had the most affordable batch of smartphones to choose from. Whether you’re looking for a new phone for Fi or just a solid midrange that stands out with a standout look and a dual-lens camera, here’s to hoping that the X4 doesn’t launch too far above the $400 mark.